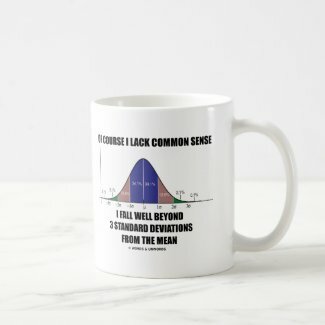 Do you lack common sense? 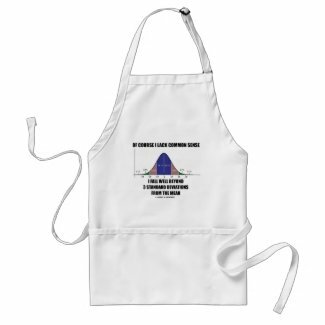 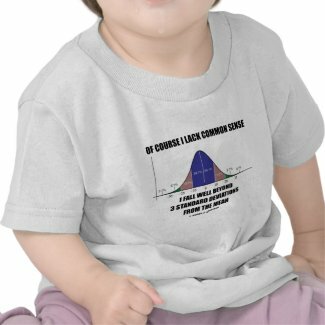 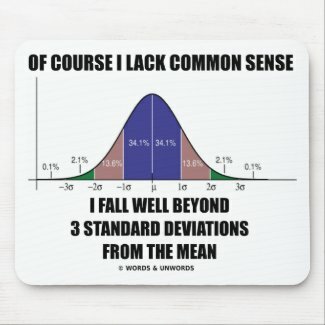 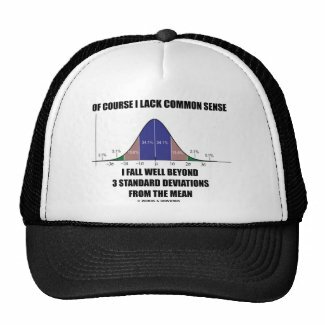 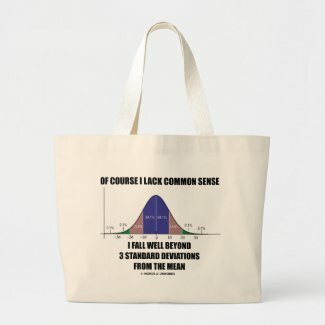 If so, you'll enjoy any of these gifts featuring the bell curve distribution (also known as the normal distribution curve, Gaussian curve) and the wry statistical attitude saying "Of Course I Lack Common Sense I Fall Well Beyond 3 Standard Deviations From The Mean". 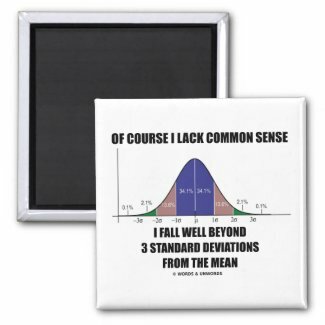 Make others do a double-take at your statistical side and guess exactly what you mean!